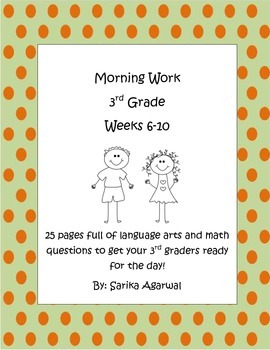 Get your 3rd graders ready for the day with this morning work pack! Each week focuses on a specific set of skills. 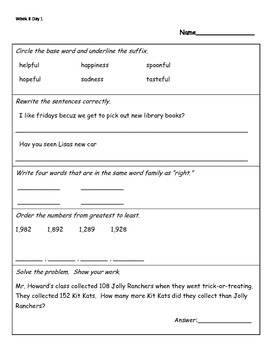 I use the "Day 5" sheet as a quiz to see which kids have mastered the skills, and which kids need more practice. 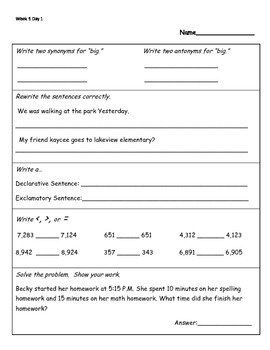 I have included one story problem on each page, to ensure that we are working on problem solving every single day. Enjoy!